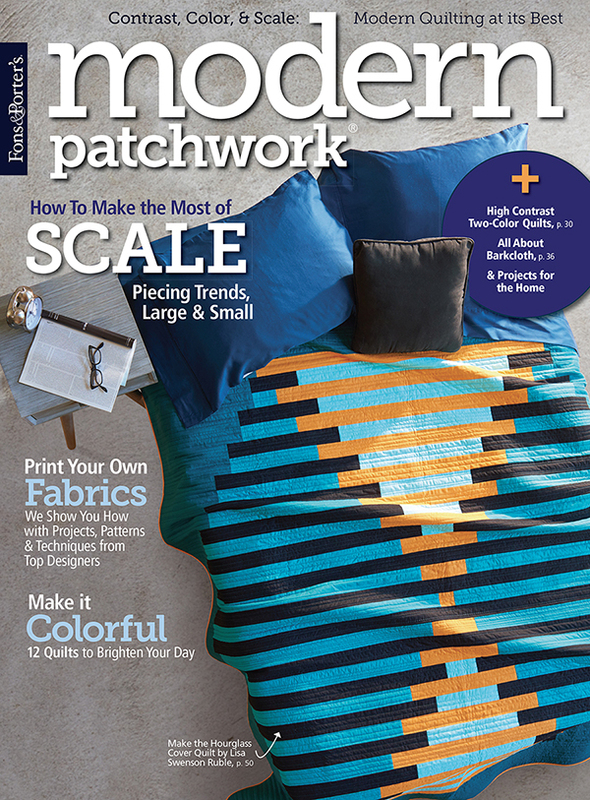 The latest issue of Modern Patchwork went on sale on December 26th, and the quilt on the cover is made using Painter's Palette Solids! Talk about a nice Christmas present--we love seeing our fabric in magazines! 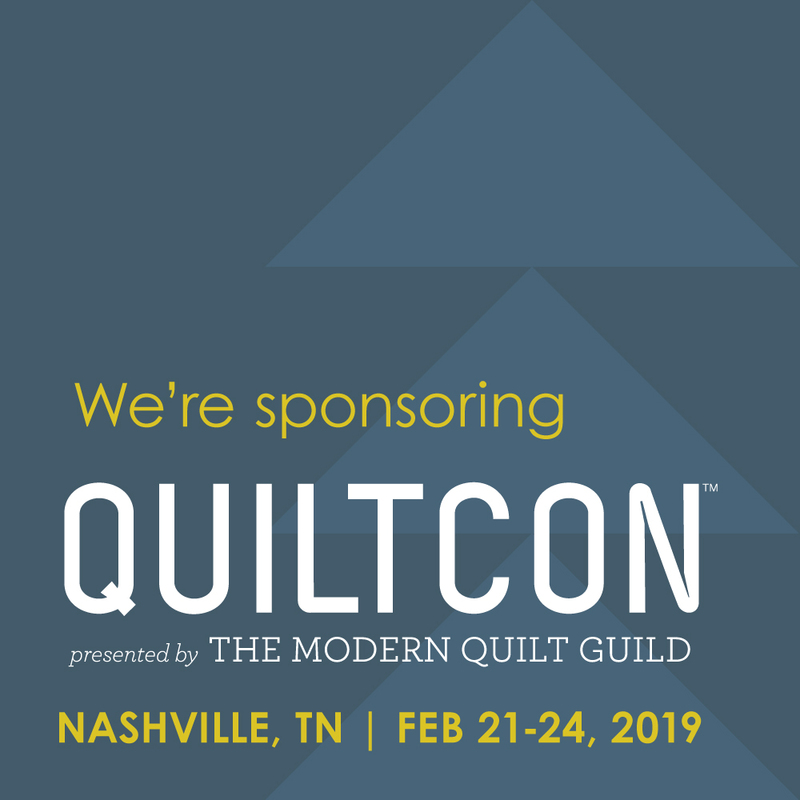 We talked with designer Lisa Swenson Ruble to find out more about the quilt. Q. 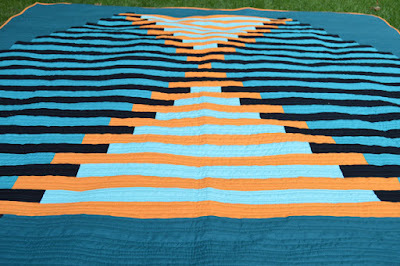 Where did the idea for this quilt come from? LR: I wanted to work with an hourglass shape and started playing around in Illustrator, working on creating a design. The diamonds appeared as I played with color placement! 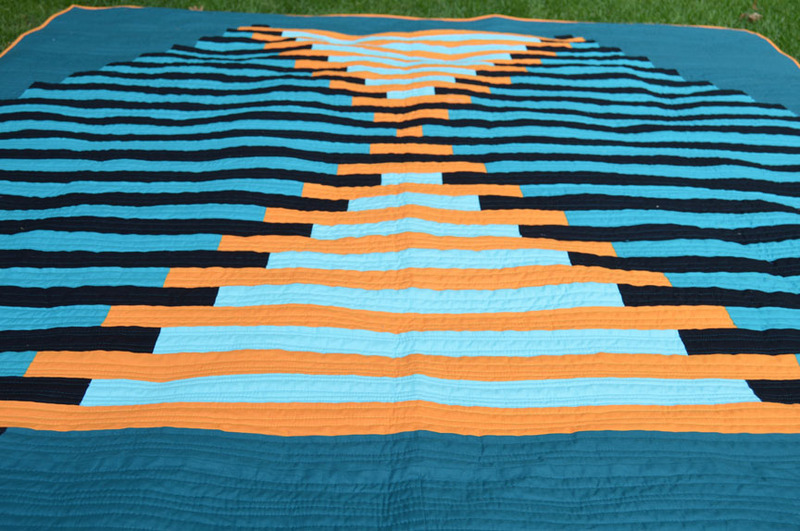 I actually didn't intend for this quilt to get so large--I was designing using 2-1/2" width strips, and after I had created the top half the quilt, I copied and pasted it (since the design is symmetrical) and suddenly it was 92" long! Q. Tell us about the color palette you chose. LR: This is, hands down, my favorite and go-to palette. I am a teal person. I wear teal, I decorate my house with it... My husband cracks up because my boys describe their room as teal as opposed to turquoise--I guess I've just trained them! The Teal and Gulfstream fabrics (the two darker teals) work so well together as the value changes, and then I chose Pale Aqua to add a much lighter value. 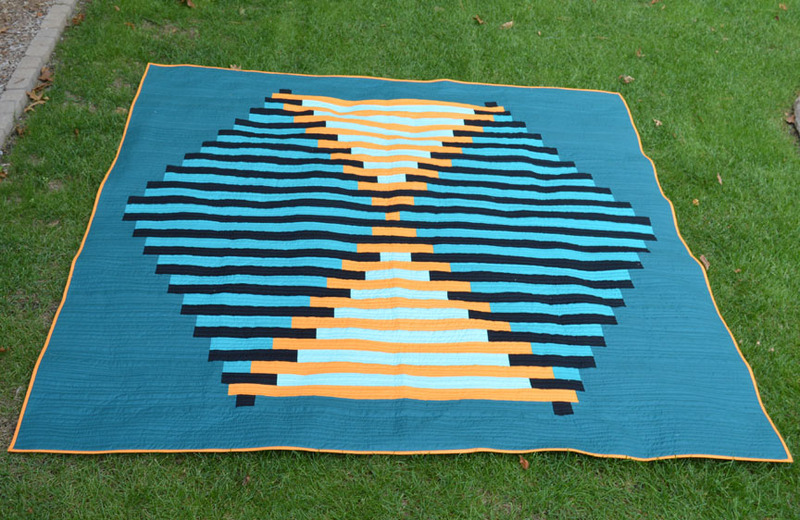 The orange--Clementine--provides a wonderful pop of color to contrast with the teals. I love working with these solids--they sew really well and they're smooth and almost silky. These strips were handled a lot as I created and joined rows, and the fabric didn't fray! Q. 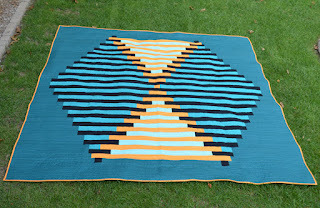 What was it like assembling this quilt? LR: It required a lot of focus. Each horizontal pieced row is 80" long. I was determined not to make a mistake and have to pick out an 80" long seam! You know that saying, measure twice, cut once? My version of it for this quilt was check twice, pin once. Every single time I pinned two rows together, I checked it against my original design at least twice before sitting down to sew. The sewing itself was easy and monotonous--just lots of long, straight strips. But to see the quilt coming together as I joined more rows was so much fun! LR: Diane Oakes quilted this for me. My idea was to do straight line quilting that would enhance the design and add texture without distracting. She helped me pick out different thread colors to blend with each fabric. She did a great job! Q. What is your favorite part about the quilt? See the entire range of Painter's Palette Solids here. Read more about the quilt here on Lisa's blog. Find Modern Patchwork magazine here (digital or print versions!) or look for it at your local quilt shop.